Our Melting Pot - El Nido i El Nido, Filippinerna : Boka nu! 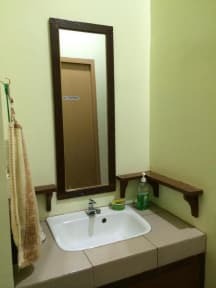 At last, a place for backpackers to meet fellow backpackers in El Nido – a touted paradise in Northern Palawan. 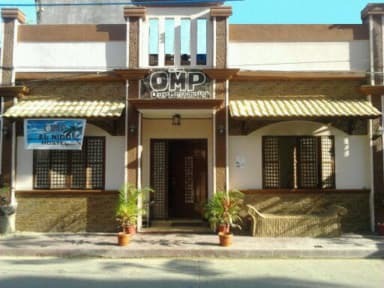 We designed OMP with your needs in mind even as we commit to provide value accommodation against the usual challenges of emerging destinations: limited Internet connectivity, rationed electricity, and a rapidly expanding town beyond the locals’ expectations. You may actually love it rustic and laid-back but expect some balance with availability of free basic breakfast, hotel-grade linen, hot showers(! ), stand-by emergency power source, personalized assistance in island hopping and in-land tours from our devoted and friendly staff manning the reception 24/7. Limited lockers are available at the reception if you need to store your valuables. Likewise, we have stored a wealth of information and tips just to make your trip within budget and optimized. Bra läge, fräscht och sköna sängar. Personalen hjälpte oss boka tourer vilket gick superbra. Gratis frukost vilket var ett stort plus! !